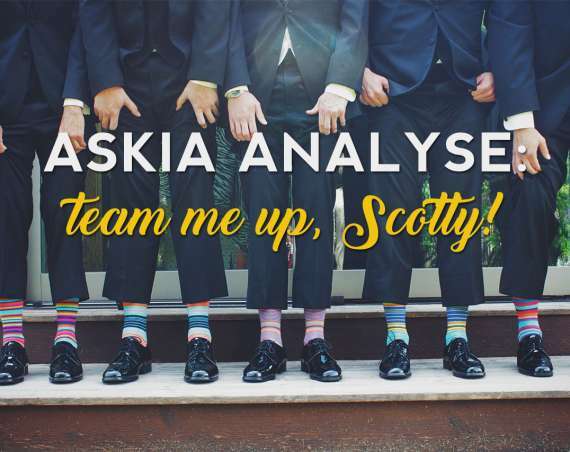 Why does significance change when I switch level or add waves of data in Askia Analyse? 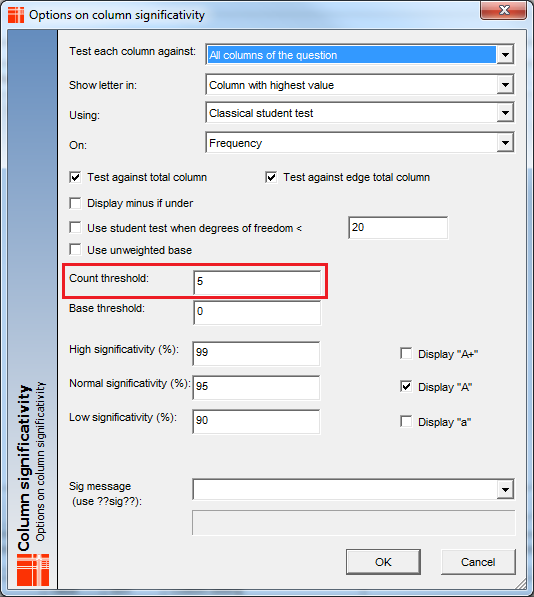 This post explains which count is considered for the ‘Count threshold’ setting in Col sig advanced options. 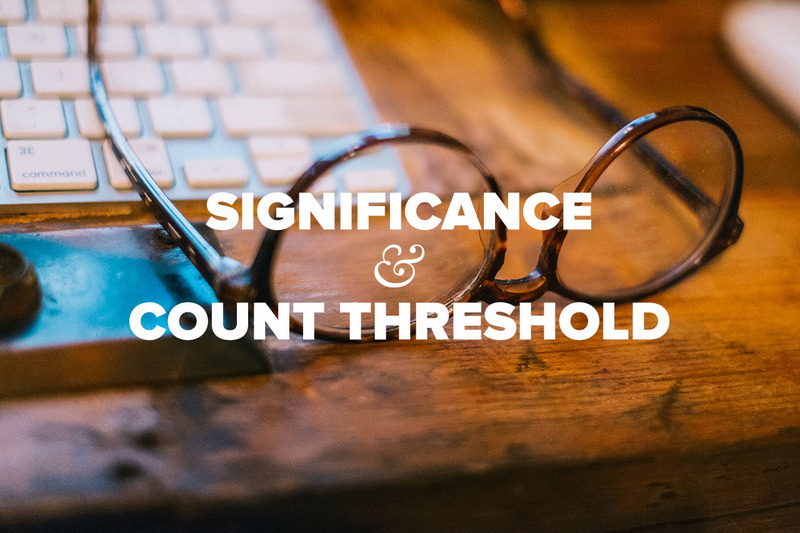 There is detail on how to calculate ‘Counts when independent’ and why this can change sig testing when the total base grows. 5 is the default because this doesn’t bring to your attention differences which are not statistically important. The side effect is that you can have changes as the total base grows over time (and hence changes the count when independent). If this behaviour is not in line with requirements, the Count threshold can be changed to 0.